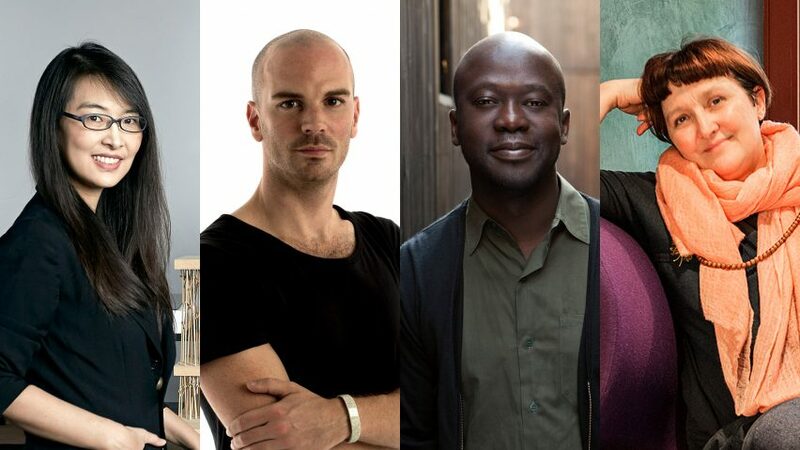 David Adjaye, Patrizia Moroso, Rossana Hu and Benjamin Hubert are among the judges of the inaugural Dezeen Awards. The four are among the first 20 leading figures from the world of architecture and design that we are announcing ahead of the launch of the awards later this month. The programme will celebrate the world’s best architecture, interiors and design projects and identify the best established and emerging international design studios. The launch of Dezeen's first-ever awards programme is fast approaching, and studios that want to enter can sign up now to be among the first to hear when it goes live by visiting www.dezeen.com/awards. We are assembling a heavyweight jury of 75 architects, designers and other key figures from the industry, representing a diverse range of design styles, geographical locations and cultural backgrounds. Architect David Adjaye of Adjaye Associates is joined on our jury by Moroso creative director Patrizia Moroso, Rossana Hu of architecture studio Neri & Hu and industrial designer Benjamin Hubert of Layer. Other judges being unveiled today include Senegalese fashion designer Selly Raby Kane, HAY co-founder Mette Hay, architect Dorte Mandrup and Design Indaba founder Ravi Naidoo. Interior designer India Mahdavi is also on board, as are Serpentine Galleries CEO Yana Peel, Droog Design co-founder Renny Ramakers, and design duo Andrea Trimarchi and Simone Farresin of Formafantasma. In addition, Architects Ma Yansong of MAD, Mary Duggan of Mary Duggan Architects, Deborah Saunt of DSDHA and Dara Huang of Design Haus Liberty are part of our panel of judges. Further judges include interior designer Afroditi Krassa, Bolon chief creative officer Annika Eklund, industrial designer Dave Hakkens, and Royal College of Art senior tutor Harriet Harriss.